MLS • Real's road losing streak extended. 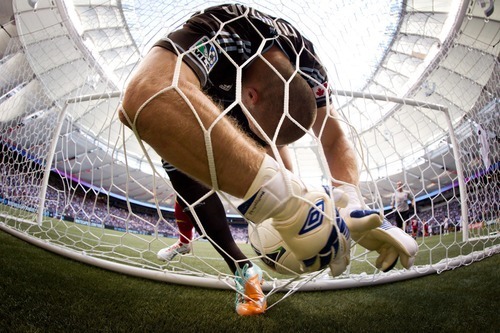 Vancouver, British Columbia • In its only trip to Vancouver this season, Real Salt Lake was unable to come away with any points or end its three-match road losing streak as the team lost 2-1 to the Vancouver Whitecaps. Both goals for the Caps came in a 20-minute period to start the second half when constant pressure from the home team led to goals by Camilo and Dane Richards, while Real's Nat Borchers scored one in added time. The two sides took turns with possession in a free-flowing first half that gave both teams a few chances to open the scoring. A big save by RSL goalkeeper Nick Rimando came in the 14th minute when Camilo attempted a powerful shot from distance, forcing the keeper into a leaping stop. He came up big once again in added time when he dove to the ground and stopped a header from Camilo that was heading to the back of the net. With about 20 minutes to go, RSL came within inches of another goal when an Alvaro Saborio header off a Javier Morales cross was flicked past Brad Knighton and hit the post. 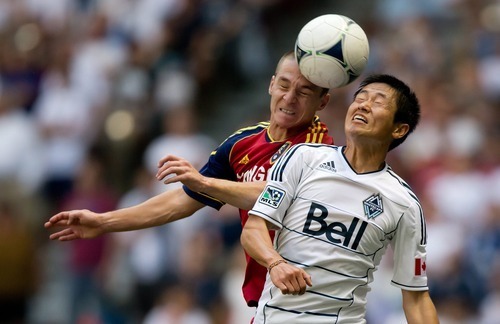 The play also cost the Whitecaps their captain, Jay DeMerit, who collided with the keeper on the play. After attempting to return to the field, he was substituted for recently acquired Andy O'Brien. After the interval, the Caps began to pressure the RSL backline. A poor clearance in the box fell directly to Camilo, who beat Rimando to give the Caps the lead in the 58th minute. It took just six more minutes for the Whitecaps to double their lead, as Richards was able to use a defender as a screen and surprise Rimando with a curled shot from distance. Despite the loss, RSL coach Jason Kreis said he was happy with the overall performance of his players. "Pleased with the performance the guys put in the first half with the hard work, determination and grit on our part to try to get a result on the road. It's been a few games since we have done that," Kreis said. Midfielder Kyle Beckerman said he felt that Real Salt Lake wasn't far off in getting a result. "There wasn't too much in between the two teams," he said. "A bit unlucky on the first goal, and then Richards turned a half chance into a full chance and a great goal. We tried to battle and get one to get back in it … but ran out of time." 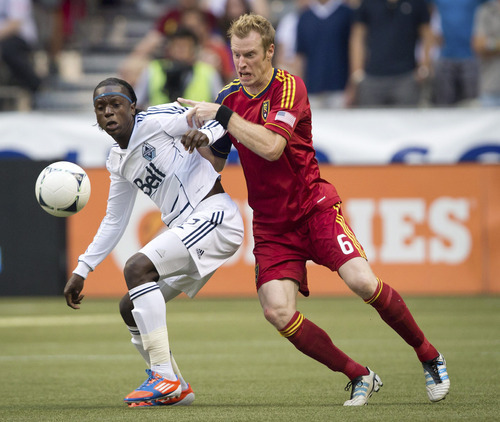 The late goal by Borchers ended RSL's streak of 360 minutes without a goal. Beckerman said the team might be able to use it as motivation. "Maybe we can use that and it can help us get a win on the road soon," he said. With the loss, RSL will remain in the second spot in the Western Conference standings but will be unable to make any ground on San Jose in the battle for the Supporters' Shield. 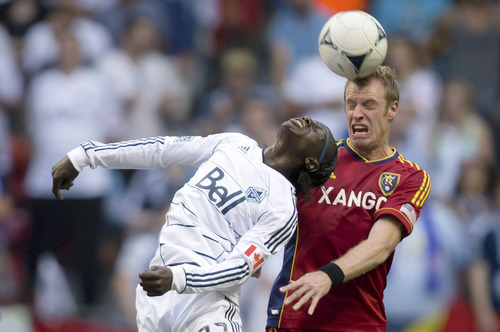 Real will try to bounce back at Rio Tinto Stadium, where it will face FC Dallas next Saturday.